These are the Heated Pools in City of Bristol other users have reported. Are you a local and your pool isn't listed? Contact us to ADD IT. It is totally free! Please check the nearest Swimming Pools or Contact us to ADD IT. It is free! Regular users told us probably the most important thing of swimming would be to control your breathing. To get this, our head must be aligned with our spine all the time. If you are visiting City of Bristol ensure you know the rules and regulation for swimming as they may not be precisely the same as inside your residence town. 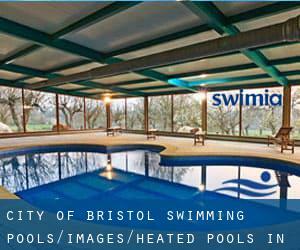 Looking for Heated Pools in City of Bristol? Many of them belong to gyms or sport centers which also supply lessons. Please, use the make contact with data provided at every single pool profile. Let us tell you a secret to forget about every thing while you are in Cholesbury: just choose a pool and plunge into the water! There's no a lot more powerful method. It's difficult to visit City of Bristol with out dropping by Brislington. Currently Swimia is showing you all the Swimming Pool in Brislington along with the closest pools located in its vicinity. Swimming is a really good thought to help keep your body active in the course of your visit to Avonmouth (City of Bristol), or even should you be a local. Swimia helps you to find your closest Swimming Pool in Avonmouth. Without a shadow of a doubt, swimming in Little Chalfont may be the most beneficial approach to unwind soon after perform. Take a couple of minutes to browse Swimia's catalog to find a Pool in Little Chalfont. Holding an estimated population of 430.713, Bristol is one of the most important cities in City of Bristol. Check all the Swimming Pool in Bristol and its surrounding area. Students Union , Richmond Hill Avenue , Bristol , England , UNITED KINGDOM (Postal Code: BS 8 1LN). This sports center gives 33.5 meters (110 feet) x 42 feet, 6 lanes, 4 feet - 12.5 feet depth, Indoors. For this Swimming Pool, only phone number is number here. The Boulevard , Hengrove Park , Hartcliffe , Bristol , England , UNITED KINGDOM (Postal Code: BS14 0JZ). Swimmers like you have reported Olympic size, 10 lanes, Indoors. Also, you will find 20 meters, Indoors. Just in case you need to contact this Swimming Pool before dropping by, we only know the phone number. Guthrie Road , Clifton , Bristol , England , UNITED KINGDOM (Postal Code: BS 8 3JH). Swimmers like you reported 25 meters, 5 lanes, Indoors. Unfortunately we do not have the email address of this Swimming Pool, but we can provide you with the phone number. Ashton Rd. , Long Ashton , Bristol , England , UNITED KINGDOM (Postal Code: BS 3 2HB). Among all the activities offered by the center, in case you are considering swimming you are going to enjoy 25 meters x 15 meters, Indoors. Just in case you need to contact this Pool before dropping by, we only know the phone number. Thrissell Street , Easton , Bristol , England , UNITED KINGDOM (Postal Code: BS 5 0SW). This sports center gives 25 meters, 6 lanes, Indoors. Contact data for this Swimming Pool such as phone number and email address are number. Updated on 2019 Elm Park , Filton , England , UNITED KINGDOM (Postal Code: BS34 7PS). Among all the activities offered by the center, if you are thinking about swimming you will enjoy 25 meters, 5 lanes, Indoors. If you will need to make contact with this Swimming Pool, email address and phone number are both number. Greystoke Avenue , Westbury - on - Trym , England , UNITED KINGDOM (Postal Code: BS10 6AZ). This sports center gives 25 meters x 10 meters, Indoors. For this Pool, only phone number is number here. Jubilee Road , Knowle , Bristol , England , UNITED KINGDOM (Postal Code: BS 4 2LP). Among all the activities offered by the center, in case you are enthusiastic about swimming you can expect to take pleasure in 25 yards x 33 feet, 2 meters depth, 2 meters depth, Indoors. Just in case you want to make contact with this Pool before dropping by, we only know the phone number. Imperial Park, Wills Way off Hartcliffe Way , Hartcliffe , Bristol , England , UNITED KINGDOM (Postal Code: BS13 7TJ). Among all of the activities offered by the center, if you are considering swimming you will take pleasure in 20 meters x 6 meters, Indoors. Just in case you want to contact this Swimming Pool prior to dropping by, we only know the phone number. Oakfield Place , Clifton , Bristol , England , UNITED KINGDOM (Postal Code: BS 8 2BJ). This sports center offers 25 yards, Outdoors. Contact details for this Swimming Pool just like phone number and e-mail address are number. 80 Redland Road , Redland , Bristol , England , UNITED KINGDOM (Postal Code: BS 6 6AG). Swimmers like you reported 20 meters x 8 meters, Indoors. Unfortunately we do not have the email address of this Pool, but we can give you the phone number. Church Road , Soundwell / Kingswood , Bristol , England , UNITED KINGDOM (Postal Code: BS16 4RH). This sports center offers 33.3 meters x 13 meters (with boom to create 25 meters or 20 meters long sections), 6 lanes, 0.9 meters - 3.8 meters depth, 0.9 meters - 3.8 meters depth, Indoors. Contact knowledge for this Pool such as phone number and email address are number. Leisure Road , Aspects Leisure Park , Longwell Green , Bristol , England , UNITED KINGDOM (Postal Code: BS15 9LA). This sports center provides 25 meters, 6 lanes, 1.8 meters maximum depth, 1.8 meters maximum depth, Indoors. Contact information for this Swimming Pool like phone number and email address are number. Fiddlers Wood Lane , Bradley Stoke , England , UNITED KINGDOM (Postal Code: BS32 9BS). This sports center delivers 25 meters, 6 lanes, Indoors. Contact details for this Swimming Pool similar to phone number and e-mail address are number.